President Trump has raised the intriguing question of bringing the manufacturing of companies like Apple back from China to the U.S. This book, however, argues that in this age of the knowledge-based economy and increased globalization, that value creation and distribution based on knowledge and innovation activities are at the core of economic development. The double-edged sword of globalization has transformed China’s economic development in the past few decades. Although China has benefitted from globalization and is now the second largest economy in the world, having become a global manufacturing power and the biggest exporter of high-tech products, it continues to be highly dependent on foreign sources of capital and technology. This book will explore the core of the Chinese economy from the perspective of the Global Value Chain (GVC), combining analysis of inward investment, international trade, Science and Technology and Innovation (S&TI) and economic development. Specifically, it investigates China’s evolving role in GVCs with some innovative Chinese companies emerging in the global market and China’s ongoing efforts to become an innovation-driven economy. China’s impressive economic record and experience provides an impressive role model for other developing countries. Yutao Sun is Professor at the Faculty of Management and Economics, Dalian University of Technology, China, and Marie Currie Research Fellow at the University of Nottingham. His research interests focus on S&T and innovation management and policy. He has published several articles in international journals, including Science. Seamus Grimes is Emeritus Professor at the Whitaker Institute for Innovation and Societal Change, National University of Ireland, Galway. His research in recent years has focused mainly on foreign investment in both Ireland and China. He has published more than 70 papers in international journals. 'Dense in content and tight in structure, this book examines a big question: why and how has China, as a late-developing country, been able to catch up technologically and advance economically, though not without challenges? 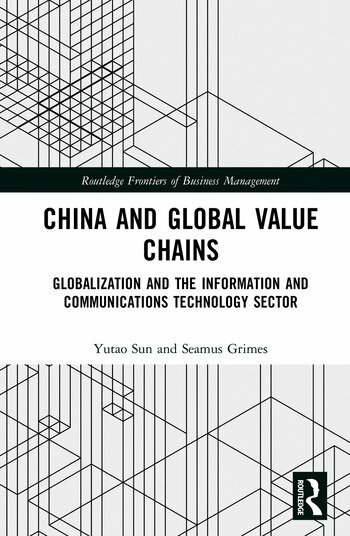 Sun and Grimes are among the first to adopt the perspective of global value chains to examine systematically the ways in which China, as a country, has been involved in such chains to create and capture value.